We have been particularly impressed with your rigorous QA/QC sampling and first-off approval systems, which have led us to getting products right first time every time. Your staff has been extremely helpful and accommodating throughout and all our staff have commented on this after each visit. 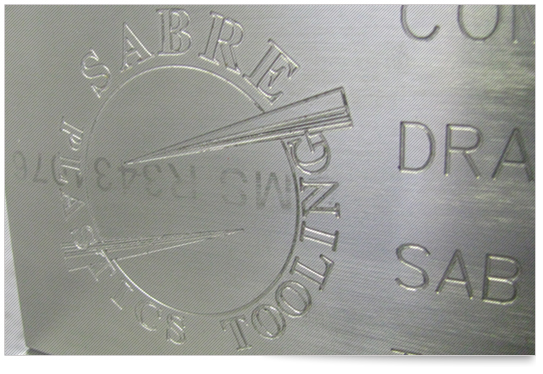 Sabre Plastics Tooling is a Private Limited Company first incorporated in 1995. The current Directors who were sole trading as Toolmakers spotted an opportunity in the market when one of their existing customers decided to retire. With this new business venture in sight, more members of staff and new premises were needed and a site was found in Letchworth, Hertfordshire. The business grew, and within 4 years, larger premises were needed to house additional staff and equipment required to cope with the demand for Injection Moulding Tools and Ultrasonic Welding Tooling. In 1999 Sabre moved from its 2,000 square feet site to a 4,000 square feet site, still based in Letchworth. Within a short period of time, Sabre began to invest in its first injection moulding machinery, with the intention to use this equipment for trials and small runs prior to delivering tools to customers, who then at that time tended to be Trade Moulding companies or OEM companies with in-house moulding facilities. A second factory was then set up for the purpose of injection moulding and packaging. Although business grew steadily, the Directors felt it necessary to bring in expert assistance to help grow and improve this side of the business. In 2003 Sabre moved into its current location, an 8,000 square feet factory, still in Letchworth. It was here that Sabre Plastic Mouldings Ltd. was established and managed under the guidance its new Technical Director, whose background was in technical injection moulding and production management. In 2007 Sabre became the UK agent for Rinco Ultrasonics Switzerland, having already supported the previous UK subsidiaries of Rinco Ultrasonics Switzerland: Rinco GB and Rinco UK for the past 12 years. Today we supply Ultrasonic plastic welding systems, Ultrasonic cutting systems and continue to manufacture Ultrasonic tooling in the UK today. In 2011 due to the substantial growth of Sabre, there was a need to combine our site with the business unit next door. The Company is now operating from 14,000 square feet. Sabre continues to invest in the latest technology, assisting our customers develop new innovative products and supplying ongoing production requirements at a highly professional level. We have many consultant customers nationwide including the Cambridge and Oxford areas, we are always happy to give advice, so please do not hesitate to ask us if there are technical questions you may have. If you require any further information or assistance from our Company please do not hesitate to contact us.